A substantial body of research indicates that a nourishing diet is essential for Optimal Health. Such a diet includes balance (adequate amounts of all macronutrients), variety (multiple food sources), and an emphasis on plant foods. In addition to a nourishing diet, supplementation helps fill potential nutrient gaps due to an inadequate diet and provides higher level of nutrients that may be difficult to get from food. Dietary supplementation cannot be expected to overcome the negative effects of an unhealthy lifestyle. Rather, dietary supplementation complements a healthy lifestyle and provides additional nutritional insurance that one is doing all they can to achieve Optimal Health. Research on the effects and mechanisms of action of nutritional interventions, including supplementation, is evolving. As such, the media is constantly reporting both positive and negative studies. Recently, several reviews and meta-analyses (a review of previous research studies in which they are combined and additional conclusions may be derived) have been published about the safety of dietary supplements, in particular, antioxidants, including vitamins. It must be noted that while each publication is unique, it does not necessarily represent new research. Some of these reviews provide a balanced perspective and recommend that one consult with their health care provider to ensure their supplementation regime is appropriate. Others however, may present a less balanced view or can be easily misconstrued in media coverage. They may even include questionable scientific methodology. The fact that many of these reviews are found in reputable publications such as JAMA and The Cochrane Review further adds to the confusion. The Council for Responsible Nutrition has published several press releases and study analyses that demonstrate the associated methodological challenges. We promote a balanced, healthy lifestyle that includes proper dietary supplementation. The best vitamin supplements are formulated based on the latest available science and are thoroughly reviewed and tests by toxicologists to ensure they are safe when used as directed and fall within any established upper limit of safety. Responsible vitamin supplement must continually review the latest research to ensure that their supplements remain both safe and effective for our consumers. Even with the best of intentions, it is difficult to always eat a healthy, balanced diet for Optimal Health. Supplementation serves to help bridge any potential nutrient gaps. We recommend that all adults consume a daily multivitamin and mineral supplement. This recommendation is based on an extensive review of the scientific literature and is meant to ensure that everyone consumes at least the minimum recommended nutrient level to maintain healthy. Where you can get best vitamin supplements? A multivitamin supplement will supply a part of your daily need, besides from food. 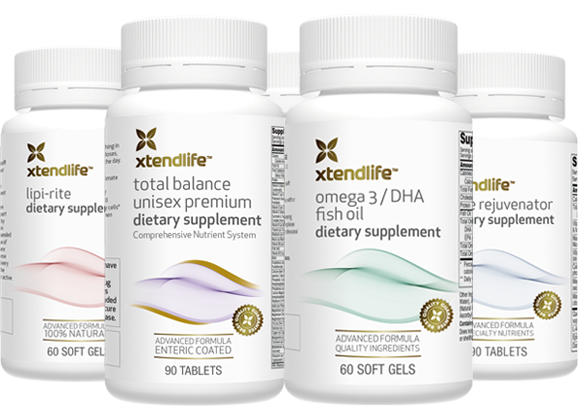 We recommend Xtend-Life's natural supplement (our review), Total Balance to address your supplement need. Read more about our nutritional supplements guide. Go to top of benefits of dietary supplements page. End of benefits of dietary supplements page.